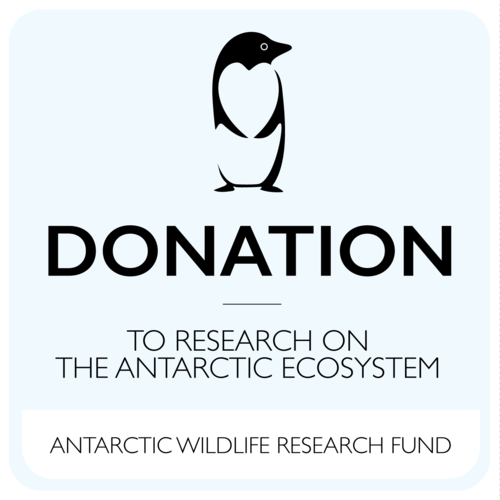 The Antarctic Wildlife Research Fund facilitates and promotes research on the Antarctic ecosystem. It was created to ensure a resilient Antarctica, in which the management of all natural resources must rely on precaution and thorough and upto-date knowledge. The Antarctic ecosystem is uniquely dependent on Antarctic krill (Euphausia superba), a small, shrimp-like crustacean that is eaten by species from fish to blue whales. AWR believes now is a critical time to obtain high-quality scientific information that can help resolve current scientific uncertainties about krill, krill predators, and the ecosystem to assist in the long-term management of the fishery. Here are some suggestions on how you could contribute.